You know that moment when your best friend swears you have to try this product she loves, only to find your skin red and irritated after? Yeah, having sensitive skin can be such a bother. Why is my skin behaving this way? Will this product irritate my skin? Which ingredient is really safe for me to use? Not everyone's skin is made equal and some requires a little extra TLC when it comes to trying out products. 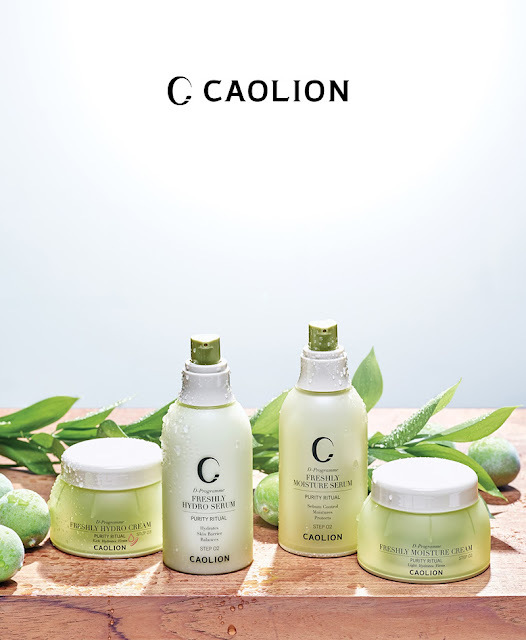 Caolion was founded and developed by Jinyoung Joo, a fellow sensitive-skin bearer who's set on helping those like her to achieve clear, smooth skin. As the first beauty brand in Korea to be marketing natural skincare, Caolion follows the tagline “it’s not about what’s in it. It’s about what’s NOT in it” and features hypoallergenic products that are free from synthetic dyes, fragrances and alcohol. These work to restore the skin’s natural beauty via detoxification and enhancing its youthful radiance, leaving the skin smooth, bright and supple. 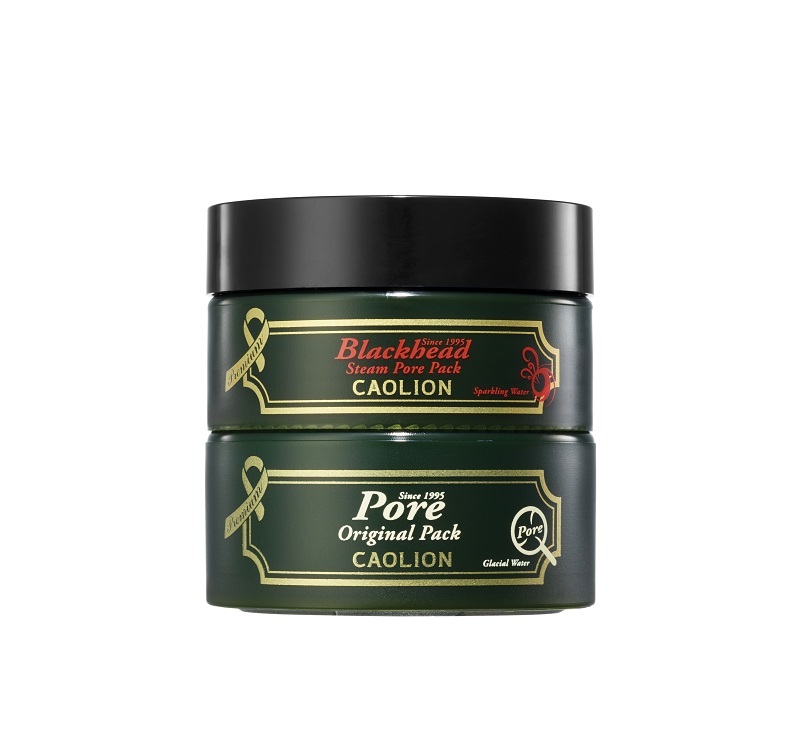 Caolion has come up with a range of products made with nourishing ingredients specially tailored to deep cleanse and remove impurities from pores while working to minimize them. Here’s a heads up on a couple of products to look out for on Althea! Oh, no! Those large pores just won’t do! This detoxifying duo features both a steam mask and a cooling mask that, when combined together, tighten and minimize the appearance of pores. The Premium Blackhead Steam Pore Pack is formulated with charcoal powder that’s known for its purification powers and natural sparkling water to moisturize the skin. It works to deeply cleanse pores, removes blackheads and exfoliate dead skin cells while it’s steaming effect results in firmer looking skin. 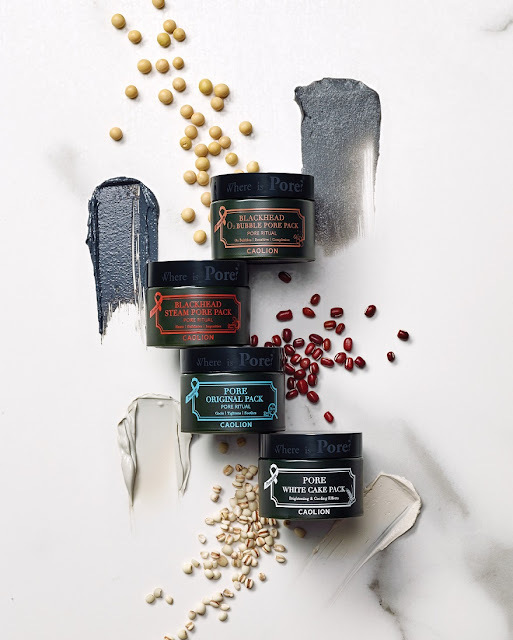 The Premium Pore Original Pack, on the other hand, is infused with Alaskan glacial water that intensely hydrates the skin, leaving it feeling plump and hydrated all day. It also gives off a cooling effect on the skin that helps to soothe skin troubles and irritations for even, clear skin. 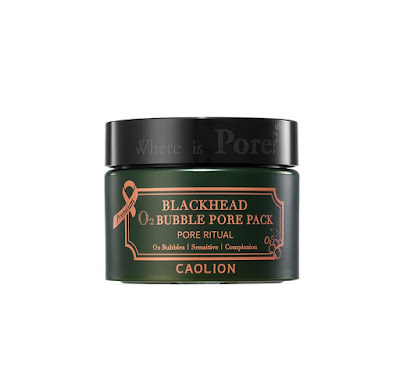 A pore treatment system that works both day and night? Sign us up! This duo comes with a hydrating pore-minimizing cream one one end, and a soothing sleeping mask on the other. The Pore Tightening Bounce Cream is a hydrating cream that penetrates deep into the layers of the skin to moisturize while controlling the levels of sebum production in the skin, leaving it looking bright and feeling supple. 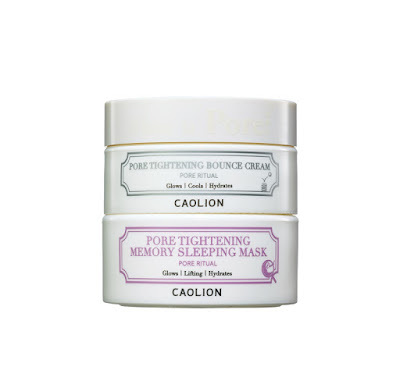 The Pore Tightening Memory Sleeping mask contains an array of calming and firming ingredients to effectively calm and firm up the skin, shrinking pores while you catch some shuteye. Containing betaine, allantoin and chaenomeles sinensis fruit extract, this sleeping mask provides the skin with anti-aging properties while evening it out and moisturizing your complexion as you catch some Z’s. Our skin can be fickle, and sometimes the best way to treat it is by using two different products to suit its current state. 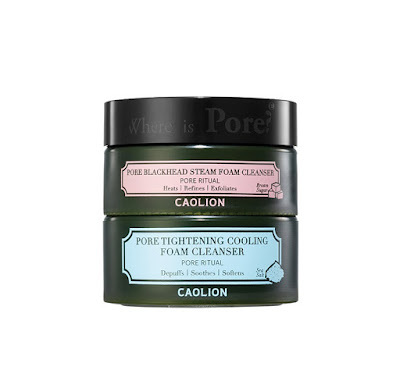 Caolion’s Hot & Cool Pore Foam Cleansing Duo offers both a steaming cleanser (to deep cleanse dirty, clogged pores) and a cooling cleanser that tightens and minimizes the pores (for mornings when your pores look closer to craters). The Pore Blackhead Steam Foam Cleanser heats up on contact to open up the pores, effectively removing impurities trapped within. It also contains black sugar that gently exfoliates away dead skin cells, leaving you with a smoother, more refined skin texture to the touch. The Pore Tightening Cooling Foam Cleanser, on the other hand, is made with a gorgeous mix of kaolin and peppermint oil to help calm and depuff the skin while working to firm up the skin and minimize enlarged pores. Pop, pop! This fun cleanser from Caolin features micro oxygen bubbles that form on contact, effectively evening out your skin while cleansing and hydrating the skin. Suitable for even the most sensitive skin, this product contains natural sparkling water and charcoal powder that deeply penetrate and remove pore-clogging impurities while keeping the skin soothed and moisturized thanks to natural oat extract. How amazing do those products sound? We'll be bringing those Caolion products and more, and they will be available on Althea starting from the 15th of February 2017, so make sure you keep an eye out for that. A little birdy even told me that there will be an amazing free gift coming up, and Althea will be giving away a full sized jar of the Premium Blackhead O2 Bubble Pore Pack (while stocks lasts) when you purchase Caolion products! That got you thinking which products you should buy, huh. 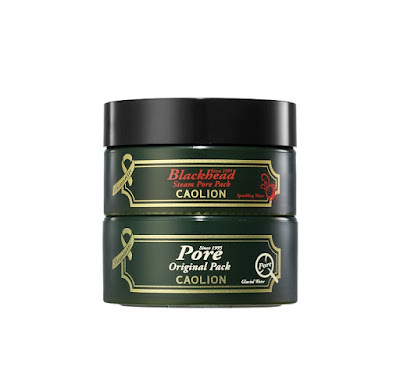 Are you excited to try out the latest Caolion products? We sure are! Gosh! All these products are instagram-worthy! I want one. Right? Can you already imagine the flatlay? So cool! :D :D :D we are too! Omyg! Perfect for my sensitive and always irritated skin! I wish I can have this products. Yup, they're great for those with sensitive skins! Be sure to get them on the site love! I got so excited when I got to read this blog..anything that involves pore minimizing or pore thightening and good for sensitive skin makes me so excited and interested. I want to try them all..if not maybe one by one? Lol. All I have to do is save up so I could purchase this one by one. Or maybe if Althea will have a giveaway any of this..i'll try my luck! *Cross fingers* Hoping I could win! Hehe! Althea always has something intetesting and great to offer. As for the giveaways, we always hold them now and again so make sure you check back! Can you bring in more hair shampoo products which is free of paraben & silicone for brands like Organists? Thank you!